Researchers found that firocoxib and flunixin meglumine provided similar levels of pain control after colic surgery, but firocoxib resulted in reduced evidence of endotoxemia at 48 hours post-surgery. Endotoxemia—the presence of endotoxins in the bloodstream—continues to be a significant and potentially deadly complication of colic and other gastrointestinal diseases in horses. But could something as simple as a change in anti-inflammatory drug selection help stave off endotoxemia and promote gut healing? Researchers have recently proven it’s possible, at least with small intestine strangulating obstructions. 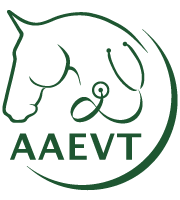 Amanda Ziegler, DVM, PhD, a postdoctoral research fellow at the North Carolina State University College of Veterinary Medicine, in Raleigh, and colleagues conducted the research, and she presented their findings at the 2018 American Association of Equine Practitioners Convention, held Dec. 1-5 in San Francisco, California.